In addition, new, full-color images and line figures bring new value and greater detail to the overall content. Dr. Gerbert graduated from Texas A&M University and received his doctor of podiatric medicine degree from the California College of Podiatric Medicine. He then completed a surgical residency program at Highland Alameda County Hospital and Pacific Coast Hospital. Dr. Gerbert is board certified in foot and ankle surgery and is a fellow of the American College of Foot and Ankle Surgeons. He is a professor of surgery at the California School of Podiatric Medicine at Samuel Merrit College and chief of the podiatry department at St. Mary's Medical Center. 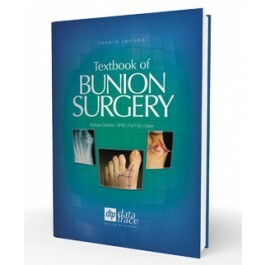 Dr. Gerbert has lectured nationally and internationally on all aspects of foot and ankle surgery and written numerous chapters in medical textbooks and articles in peer review journals. 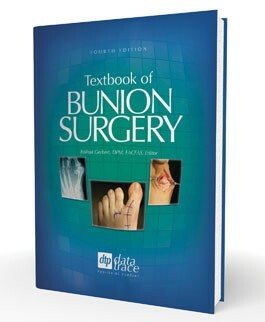 He brings more than 40 years of experience as editor of the Textbook of Bunion Surgery, 4th Edition and wrote the Lesser Forefoot Surgery textbook.